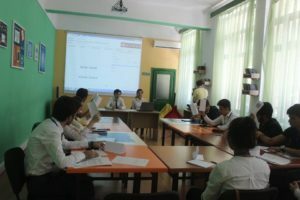 Last September, AEGEE-Baki organised a Model United Nations (MUN) about Human Rights. 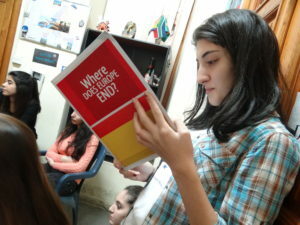 It was directly connected with the Civic Education Focus Area (Aim 1, Objective 1) and the Spreading Europtimism Focus Area (Objective 3). For this reason, they were chosen as ACTive Local of the Month. We spoke to Vazifa Khalilli, PR Responsible of AEGEE-Baki, to find out more! ACT: Which emotions did you feel when you were told that AEGEE-Baki was chosen as ACTive local of September? Vazifa: At the end of a very busy and tiring day, it was really nice to know that AEGEE-Bakı was chosen as Active local of September. This totally made our day! Why did you decide to organise this activity/these activities? Model UN is a simulation of the United Nations where participants role-play delegations in representing a country’s position on a certain topic, and it is also directly connected with the Civic Education Focus Area and Spreading Europtimism Focus Area. On the other hand, it gave students the opportunity to use their creativity to find a resolution to the problem while enhancing their knowledge of politics as well as their public speaking and debating skills. MUN provided youth with a wide range of possibilities of debates in the following committee: UN Security Council. Our conference gathered 15 delegates from different countries coming from all over Europe and the world. These delegates engaged in enlightening debates in our committee. In brief, the delegates were challenged to think outside the box and find solutions to the problems related to our society. 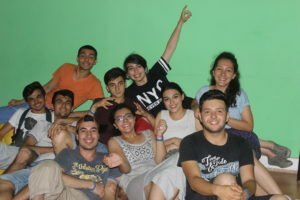 Moreover, participants were not only members from AEGEE-Bakı, there were also non-AEGEE-Bakı members -which understandably describes that we were able to reach as many young people as possible. Actually, we inform our members about the Action Agenda and the Strategic Plan at our Local Training Courses and in some of the events organized by our working groups, in addition we used to have a project giving information about AEGEE, Action Agenda and Strategic Plan. Furthermore, we also inform our members on our social media accounts about open calls for the positions and projects in Europe where they can help to develop these areas and also get new experiences in AEGEE Europe too. As mentioned above, in Local training Courses we do some interesting activities related to the Action Agenda/Strategic Plan. Besides, every week during the summer, in our lovely office we came together in order to share our ideas and do some workshops related to that. Now, we are thinking about new, inventive activities which can also inform members about the Action Agenda/Strategic Plan in a different way. Why should other locals organize activities related to the Action Agenda/Strategic Plan? I think the most important thing in AEGEE for improvement is to share. Because, as a local, if you do not share missions and visions of AEGEE, clearly you just try to survive. In other words, without Action Agenda/Strategic Plan, you cannot be aware of anything and AEGEE cannot make a change. That is why we come to conclusions, make future goals for the Action Agenda/Strategic Plan and share them in order to make a change for a better future in AEGEE. If every local does what they have in their mind, we cannot say “Feel the AEGEE Spirit”, because that spirit is not felt anymore. Doing what you want does not change a thing. If we need to improve together, we need to act together. The tip that you need to organise something different, creative and amazing is not your only motivation; your motivation is also buinding a big, but also strong team like AEGEE. 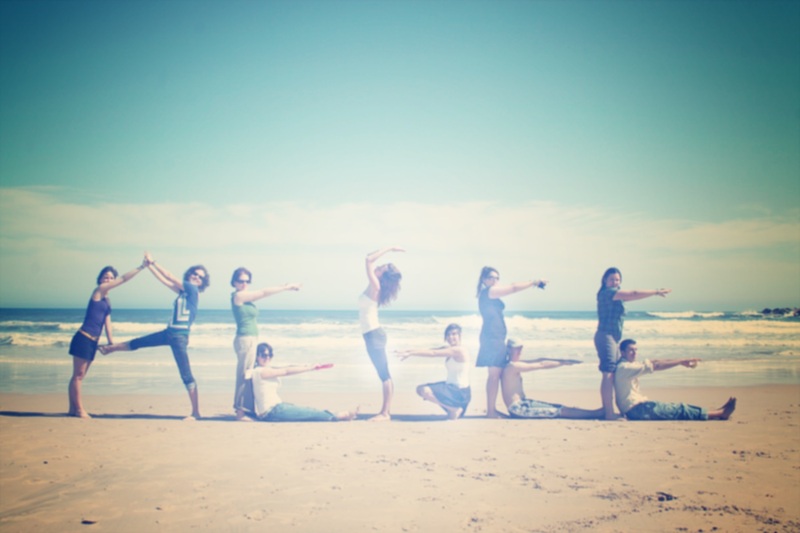 And for this big team, you do not only need to find people that work together. For that, you have to also find a team that trusts, shares and cares for each other! 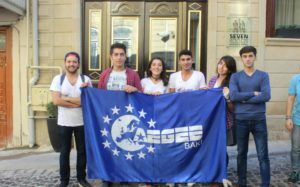 AEGEE-Bakı started its activities in 2004 and more than 1500 local students have been involved in different local and international projects. The main purpose of the organisation is to promote the European ideas by creating cooperation between Azerbaijani and European students. Since the academic year started we are in the process of gaining new members and currently we have almost 150 members. It is really wonderful that we can attract so many students from different faculties. For example, we have law students, economy students, engineering students etc. On the other hand, the AEGEE-Bakı Board consists of 5 board members(President- Farid Rahimov, Secretary&HR Responsible- Narmina Yolchuyeva, PR Responsible- Vazifa Khalilli, Treasurer&FR Responsible- Vusal Veliyev, Project Director&External Relations Responsible- Rashad Nazarli + 2 advisory board members- Orkhan Babayev, Kanan Atayev). Besides, we have also 5 working groups, namely Human Rights, Languages, Education, Sport and Entertainment, Culture. As board members, we are working on new, creative projects and giving motivation and inspiration to our lovely members every day.